ALL Lives Are Precious (ALPs) is bringing another concert celebration of love, live and happiness to St Patrick’s Church in Downpatrick. The cross-community event on Saturday, September 9, is part of its Voice of Hope concert series and will mark World Suicide Prevention Day. Headlining this event will be singing sensation Peter Corry and his house band with special guest appearances by the talented Donna Teggart and Matthew Campbell amongst others members of the local community. In addition to this ALPs will have an impressive ensemble choir of over 200 children representative of primary schools across the Lecale area. ALPs is an organisation which works to improve access to services and positive outcomes for those with a mental illness. The group was established following extensive research and planning in the field of mental health and suicide prevention and one of the founders was Downpatrick man, Ronan Gilchrist, who has a long held an interest in this particular area. Ronan believes that a community-based initiative funded and run by the people, for the people, is the best way of offering support around mental health education and suicide prevention. Looking forward to the latest concert in St Patrick’s Church, Ronan said: “ALPs are super excited to be able to bring this event to Downpatrick again this year. The concert series has become a vital part of our work and allows the organisation to engage the whole community in a conversation around Suicide Prevention and Mental Health Awareness. 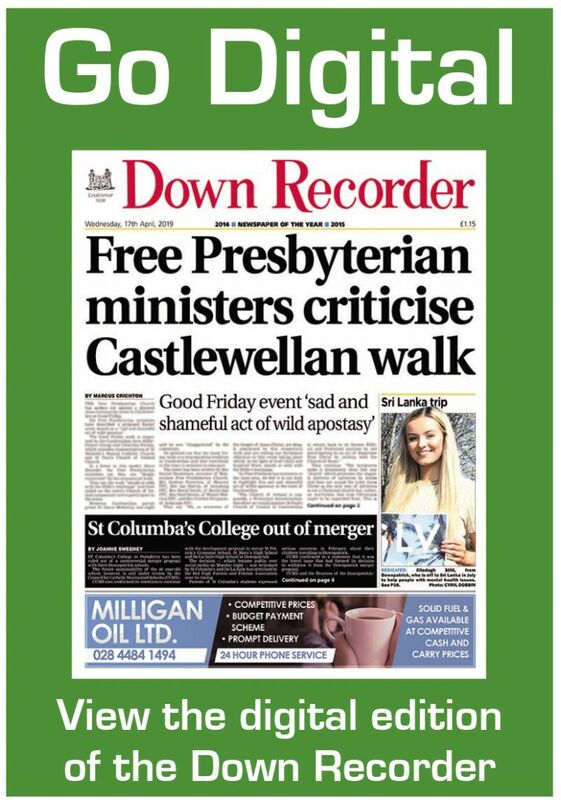 The Downpatrick concert tops the list for two further concert dates in Belfast and Derry. Ronan also wishes to thank Fr Murray and all attached to St Patrick’s Church and the Parish of Downpatrick for granting their permission to use the church for this event. The concert on Saturday, September 9 starts at 7.30pm. For further details, contact Ronan on 07801 481013 or by email to info@alpsni.org.